When you think of catering, you probably don’t think about the location where you are having your event and if it will make a difference if the catering is done by someone on the premises or someone who traveled in with their catering team for setup and service. Knowing the difference and being able to identify what catering options are right for your event can make all of the difference. What Is On Premise Catering? Often a more popular option due to price point and coordinating the event, on premise catering involves catering done within the kitchen and food preparation areas of a venue. Typically, this means the food for your event is prepared and served on site. On premise catering can be a great option for events that may have more elaborate meals. Examples of this may include weddings where there may be multiple courses and a dessert option that calls for more fresh foods rather than food that is prepared and then brought to the location (such as in off premise catering). However, if you want an outdoor event or have an interest in an unusual venue that might not have a full kitchen to meet your catering needs, on premise catering might not be for you. That does not mean there are no other options available, but the cost to have a separate venue and caterer may be higher than having your venue also provide catering, so keep that in mind as you research options for your event. At The Christy, we offer on premise catering both at our St. Louis and O’Fallon locations. 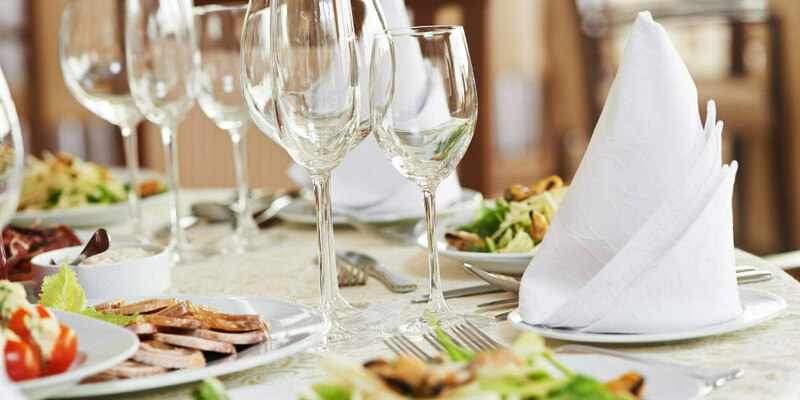 We use creativity to work with you on what you envision and are known for providing exceptional service and delicious food at our banquet centers. What Is Off Premise Catering? In contrast to on premise catering, off premise catering is typically what people think of when they host an event and bring food in from somewhere else. If you work with a caterer who will be bringing prepared food to your venue, the caterer cooks and prepares food in their own kitchen, then plate, cover, and transport the food to your location. There are a number of factors to keep in mind if you work with an off premise catering company. In general, the price point can vary widely, as can the quality of the food. As you research your catering company, it is important to ask many questions and even receive word of mouth referrals from other people to determine if their food options are right for you and for the event. 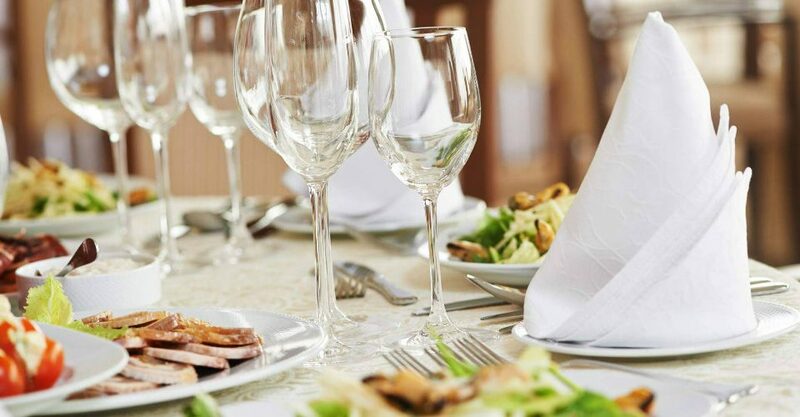 When you work with Catering by The Christy in providing off premise catering at your event, we bring over two decades of quality restaurant service to your event. We understand the best ways to transport and prepare food that is fresh and ready to eat at your venue, and we pride ourselves on quality customer service you come to expect. What Catering Option is Right for Me? While no one person can determine what works for others, it is important to know that not everyone option works for everyone. Make sure you ask lots of questions and do your research well in advance to not only find the best venue you for your needs, but also the best catering to fit your event. For catering both on location and for offsite events, contact The Christy! We are here to serve at both our St. Louis and O’Fallon locations and are happy to provide catering at other venues. To learn about our available menus and pricing information, contact Catering by The Christy at 314-345-0045 today.